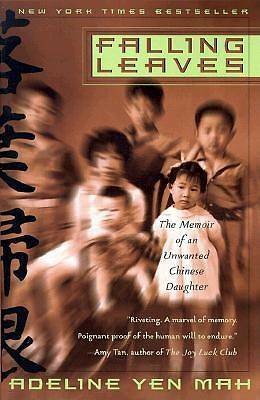 The emotionally wrenching yet ultimately uplifting memoir of a Chinese woman struggling to win the love and acceptance of her family. Born in 1937 in a port city a thousand miles north of Shanghai, Adeline Yen Mah was the youngest child of an affluent Chinese family who enjoyed rare privileges during a time of political and cultural upheaval. But wealth and position could not shield Adeline from a childhood of appalling emotional abuse at the hands of a cruel and manipulative stepmother. Determined to survive through her enduring faith in family unity, Adeline struggled for independence as she moved from Hong Kong to England and eventually to the United States to become a physician and writer. A compelling, painful, and ultimately triumphant story of a girl's journey into adulthood, Adeline's story is a testament to the most basic of human needs: acceptance, love, and understanding. With a powerful voice that speaks of the harsh realities of growing up female in a family and society that kept girls in emotional chains, Falling Leaves is a work of heartfelt intimacy and a rare authentic portrait of twentieth-century China.